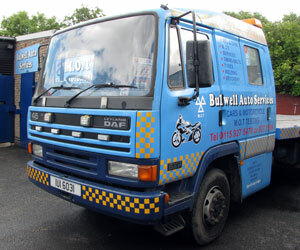 Bulwell Autos Services has been repairing vehicles for over 30 years (since 1979). It is owned and operated by Kelvin, Adam and Gary along with employees George and Terry. Outside of business our main passion is motorbikes and this is reflected in our work. We have restored many old bikes both for our customers and our personal collection. We are also one of the few garages in the East Midlands to service, repair and MOT motorbikes and trikes. We believe that our customers deserve a personal service and we pride ourselves on providing an honest and professional car or motorbike repair. This is why many of our customers return to us year after year pleased with the excellent service they have received from our courteous staff.